A few eyecatchers for your notebook! With an eye to the future it is always nice to look at some performances which might merit a second look at when these horses run again. Storm Away is a 5 year old Kalanisi mare that picked up a bit of black type for Pat Flynn and JJ Burke at Tipperary. 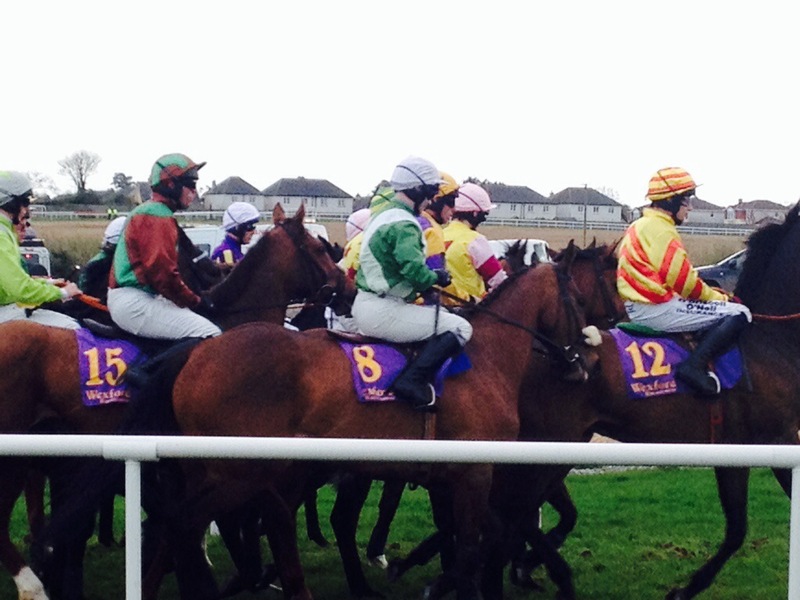 A winner on the flat at Wexford earlier this summer, Flynn switched the mare to hurdles with a win at Down Royal. He aimed high at Tipperary in a Grade 3 novice hurdle where she finished third at 12/1. Flynn has a fine record with mares and fillies over the years including French Ballerina and Aeries Girl and it would be no surprise to see him land another race or two with Storm Away. With a handicap mark over hurdles she could well be pitched in to such a race if the opportunity arises. Jamie Codd made his name as an amateur jockey with Willie Mullins long before being crowned as the national Point to Point jockeys champion in 2013/14. 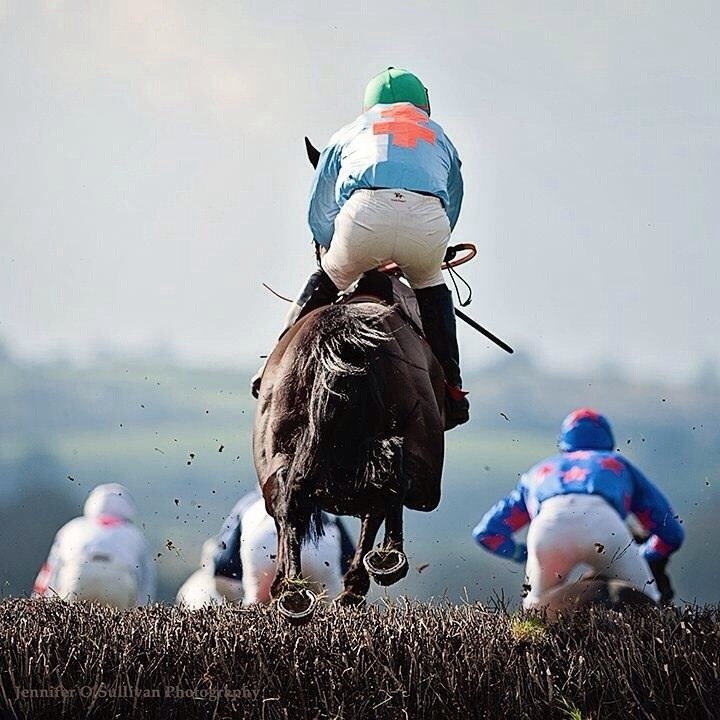 Surprisingly still awaiting his first win in this sector after two weekends racing of the new season his mounts inside the rails are always worth keeping in mind.Alice Curran trains a small string in Co Waterford and regularly uses Codd with her national hunt horses. They teamed up at Tipperary with Cadtlebeach King in a bumper on the 7th of this month finishing a creditable third behind a Patrick Mullins and Nina Carberry one, two. The 7 year old by Windsor Castle won his Point to Point in April at Ballyarthur in the hands of Mikey O’Connor and has now had 3 bumper runs to his credit, improving on every occasion. Not overly fancied on his last run he looks like a future winner before long. The one word of caution I would take into account is the going.With a slight suspicion that he might prefer a piece of decent ground. But keep him in mind before the ground turns against him in the winter! With the flat racing season winding down at the minute it is worth our while to look out for an eyecatching maiden. One that fits the bill is Very Intense from Jim Bolger’s Co Carlow yard. Owned, bred and trained by the Bolger clan he ran well at Navan when finishing third under Ronan Whelan. The 3 year old by Intense Focus was unfancied at Navan on the 8th but came through nicely to finish third behind the Ballydoyle winner Felix Mendelsson. Bolger will race his horses regularly and has no problem competing on the all weather at Dundalk. This 10 furlong horse seems to fit that bill and is one to keep in the notebook. Vicalus is a former winning point to pointer for Susan Finn with the 9 year old Old Vic mare looking capable of adding a further win on the track. Ridden by John Cullen at Tramore in the 2 mile 3 furlong handicap chase on the 9th she finished second at 16/1. A winner on the track over hurdles her maiden tag is intact over fences but Finn might just find a winning opportunity in the near future. Barry O’Neill had a nice treble at Shillelagh Pt2Pt last weekend , riding a double for Colin Bowe’s yard. 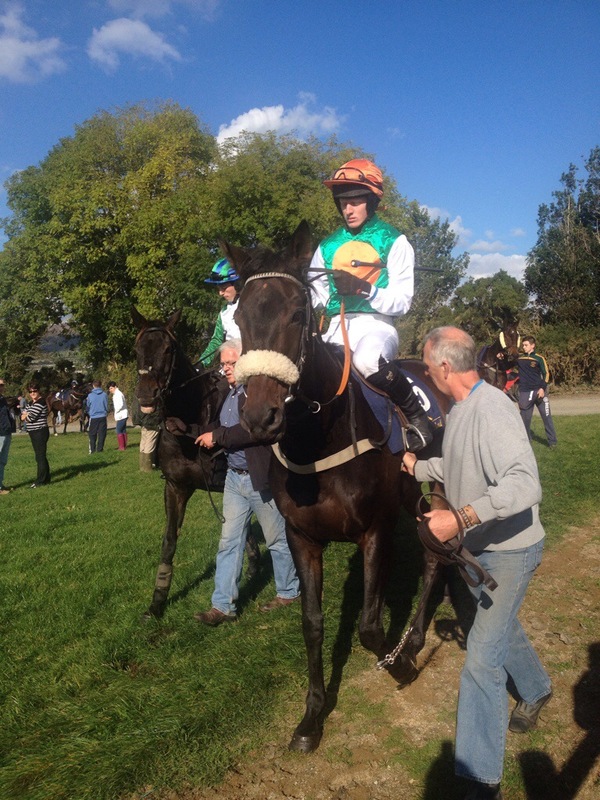 Bowe took the unusual step of saddling Katiebyrne on her debut in a Winners race at the Co Wicklow track. With only four runners O’Neill settled her out the back and let her settle and jump. While never really threatening to win she did show enough promise to go into the notebook. Beaten only a little over 4 lengths the 5 year old St Jovite mare will be worth a euro or two. As always , my health warning on these eyecatchers is in place, they should win I just dont know when! Some Eyecatchers for the Autumn, hopefully they will win! With the month of August just about slipping away its that time of year to look at a few eyecatchers that could still in both on the flat and over jumps. But for now lets focus on the jumps game. Kilbeggan specialises in National Hunt racing throughout the summer months with very competitive cards always on offer at the Co Westmeath venue. Well supported by the trainers one horse that caught the eye at the track was Fellow Indian from Tom Foley’s , Aughabeg yard in Co Carlow. The 6 year old by Indian Haven had tried his luck in bumpers in 2013 , showing a level of ability, but his switch to hurdles has seen his best form to date. He may need to improve his jumping a little but Foley is good at schooling his racehorses and it wouldn’t surprise me to seem him win a maiden or even a little handicap off a reasonable mark during the autumn. I saw William Codd’s Marmaladeskies win a point to point at Stradbally earlier in the year ,one of his brother, Jamie’s winners during his successful 2013/14 campaign for the National Riders title. 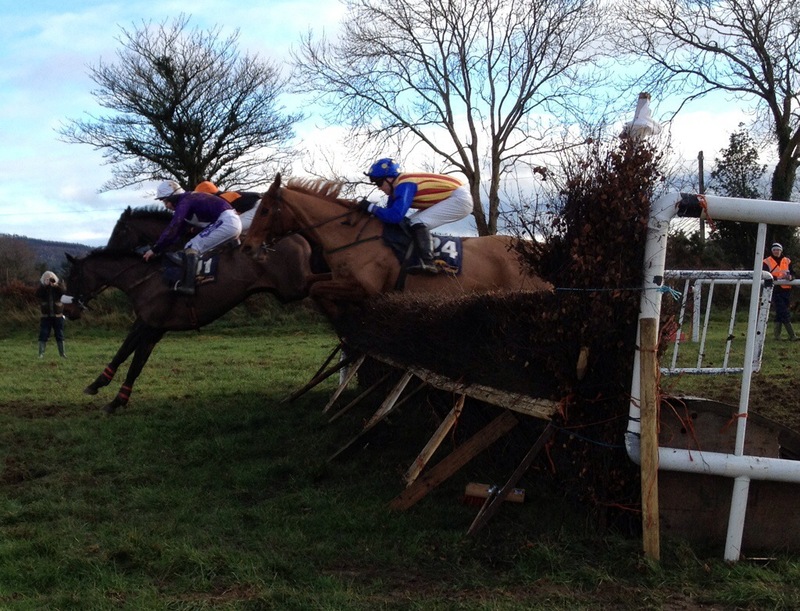 The 7 year old Bishop of Cashel looked a bit of a tricky enough ride that day, but has a bit of ability. He was spotted staying on well in his last two efforts over hurdles at Down Royal and Killarney being sixth on both occasions. With a bit of luck he looks a likely sort to win , but the difficulty might be that it will be hard to choose the day that he will win for Codd his Co Wexford based trainer and his owners the Porters from Co Wicklow. Gigginstown Stud invest an extraordinary amount of money into racing in Ireland and it is always good to see their colours in the winners enclosure at any track in the country. Behemoth trained by Paul Nolan in Co Wexford, the 5 year old Presenting gelding won his only start in the point to point fields. Since then his form seemed a little underwhelming to say the least. That statement of course could be put down to the fact that I have tipped him unsuccessfully once or twice as my One for the Day! He did spring back to form at Tramore during the August Festival when winning a beginners chase and has since progressed to being a fine third in a Grade C Handicap Chase at Killarney. Racing prominently under a lightweight the 16/1 chance had to give best to Pass The Hat and Nearly Nama’d. This was a good run over 2 miles 4 furlongs as he beat some good horses on the day. Chasing is his game and I would expect Nolan to find a winning opportunity for the horse before long, or else Gigginstown might just ship him on! Mikey O’Connor sent Buster Dan Dan on the long journey from Co Cork to Downpatrick during the week with the 6 year old Buster King horse justifying favouritism. Making all the running in O’Connors own hands this horse has progressed well this year. He had been tried on the track before switching to the point to point fields where the dual winner has developed. With a handicap mark over hurdles O’Connor could go that route before going chasing, and its in this world that I feel he will excel. He has the same sire as Irish Grand National winner Bluesea Cracker and in time thats where he might make a mark. Thats an autumn list of National Hunt eyecatchers, hopefully they will win! Maybe a little late in the day, but these could be worth a second look! Those eyecatchers just keep slipping by me with placed form or at least a good run at Galway coming through in the past week with some winners , including Cassells Rock, Little King Robin, Mojito Royale and Fields of May all stepping up to win elsewhere. So maybe a little late in the day I might try to highlight a few horses that caught the eye and maybe worth looking at next time out. Bumper winners are hard to find , at value, particularly with the strength of Willie Mullins in that sector. Co Galway based restricted trainer Hannah Lee did nearly spring a surprise with Blueprint Bob at Galway when the 7 year old son of Blueprint finished a short head second to Patrick Mullins on Shark Hanlon’s Clondaw Farmer. Ridden prominently by Declan Queally on the day he belied his odds of 50/1 to merit future attention. With just two runs under his belt , including his only previous run at Cork in 2012 he has ability and might just win if staying injury free and race on a bit of summer ground. Colm Murphy may not be flying quite as high these days as in the past with such good horses as Big Zeb, Brave Inca and Feathered Lady, but his Co Wexford yard is still churning out the winners. 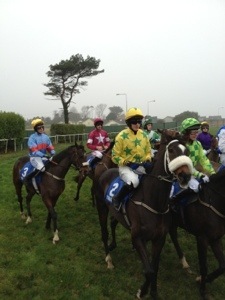 One of those winners is the 7 year old Beneficial gelding, Mister Hotelier who last won at Wexford on St Patricks Day. That win was his second over hurdles and Murphy has switched the horse to fences with a couple of placed efforts at Killarney and Galway since. A drifter in the market at Galway he came from off the pace in the 2 mile 6 furlong chase to finish third. He looks a likely sort to win over fences fairly soon maybe at Tramore but more likely at a galloping track. Quick Sketch went into the notebook at Down Royal on the 25th of July with a sixth place for John O’Shea at 66/1. A subsequent run at Sligo didn’t add much to the 2 year old son of Excellent Art’s record when seventh from eleven. But I wouldn’t give up on him just yet as O’Shea is more than capable of getting a horse ready from his Co Kilkenny yard and this Nicholas Teehan/ Bluegate Stud owned and bred horse may just be the one to raise a winning flag for him. 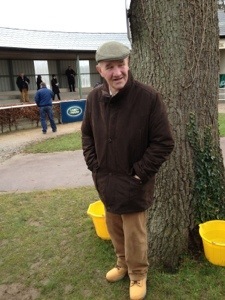 Tony Martin has his Co Meath yard in fair good form at present and they are worth keeping on the right side of. One of his lesser lights might be Anner Queen home bred by the Newtown Anner Stud. This 4 year old Invincible Spirit filly has now run 11 times, with her last run, when third at Down Royal showing signs of promise. Ridden by Chris Hayes she missed the start over the 7 furlong trip but came through late in third place. She may never win an Arc De Triomphe but Martin could well find an opportunity for her at some of the smaller tracks or even back on the All Weather. I missed backing the Dermot Weld trained Renown at Wexford on the second day of their two day meeting in July with the 3 year old Champs Elysses gelding making a winning debut at 7/1. The three parts brother to Famous Name seemed to run green enough on that day but relished the 12 furlong trip to indicate better days are to come. Just where that might be I’m not at all sure, but Weld the Master of Rosewell House will have a plan, so we just need to sit it out and wait! Maybe late in the day, but these might just be worth a second look! Its your money so I can only point you in the right direction! Richie Rath is a smart young trainer based in Co Wexford and is fairly adept at sending out a long priced winner. He did so again last weekend at the Limerick when saddling the Ger Corrigan owned Our Ned to win the Mares Beginners Chase at 16/1. This Bob Back 9 year old had won three point to points during her 3 year career to date and made her chasing debut here to win under Andrew Lynch. Rath and his team proving that they can get one ready, so in my view his runners are worth keeping an eye on. Tom Cummins in Co Waterford has a very useful horse in the shape of the Tajraasi 10 year old Aughnacurraveel. This four time track winner and dual point to point winner win nicely under Mikey O’Connor at Limerick. Capable of matching it with quality horses on a variety of surfaces he looks like being a contender over the summer months with a particular eye on the festival meetings. Switching our attention to the flat , the Curragh Cup a Group 3 race saw the Aidan O’Brien 5 year old Ernest Hemingway confirm favouritism. My eyecatcher however finished in fifth place with Shu Lewis running well under Seamie Heffernan. A bumper winner at Wexford in 2011, the Pyrus 8 year old now mixes it between the flat and all weather for the Blake family. His two previous track wins when added to his recent black type form give me great hope that he can add to it this season. Not over raced, he just needs to be given the right conditions to win again. Jim Bolger is tipping away very nicely with a winner or two coming his way on most race days. His wife’s purple and white colours were carried to success this week by Pack The Punch at Roscommon in the bumper. Interestingly of course this horse a 4 year old by Teofilo is trained by Des McDonagh who was a national hero in the 1970’s as the trainer of Monksfield of Cheltenham fame. But Jackie Bolgers colours on Trading Leather were seen running prominently at Sandown in the Eclipse. The decision to keep him in training as a 4 year old will only pay off for last seasons Irish Derby winner if he wins another Group 1 or at least a Group 2. But Jackie’s husband Jim is a dab hand at placing his horses in just the right place and I reckon he will do so again with this horse. A slightly lesser light in the shape of Muileata looks capable of picking up a maiden soon for the same yard.Following a nice placed effort at Gowran on the 1st, Bolger lost no time in trying her again this time at Naas last wednesday where she again finished second. With 6 runs this season, and never out of the first 4 she justs needs a little bit of luck! The same can be said of rookie trainer Shay Barry who has seen his Mozetta placed on all 3 runs to date, most recently at Leopardstown under Niall McCullagh. A daughter of Azamour, Barry will be chomping at the bit to record his first flat winner and this filly might just do it for him before too long. As always, the health warning applies but its your money so I can only point you in the right direction ! These eyecatchers have shown enough so try not to miss them. Kilbeggan is a very progressive all national hunt track where the form often carries well onto other venues in the country. With that in mind it could be useful to keep an eye on Brian’s Express following his good run there over the June Bank Holiday weekend. Popping over hurdles for the third time the 6 year old Alderbrook gelding has shown a glimmer of ability for Co Tipperary based Leslie Young to merit interest at a future date. Prominently ridden by Robbie Moran to finish fifth at 33/1 in the colours of Margaret Marshall I am not sure where he might race next but he is one to keep in mind. The same card saw Henry De Bromhead pop Zane Grey over hurdles with the Flemensfirth 7 year old gelding finish third in the 2 mile handicap hurdle under Andrew Lynch. Previously successful over hurdles in the trainers wife’s colours at Wexford last July he seems to enjoy summer racing ground with the good ground on offer at Kilbeggan to his liking. Having also jumped a fence in public, options are open for Co Waterford based De Bromhead to race this summer with this horse. Named after an American novelist of the early 20th century there just might be another story in this. With few enough horses around that can easily switch codes from flat to jumps, it always pays to stay on the right side of one when in form. Co Cork based Terence O’Brien seems to be able to get the best out of the 10 year old Alderbrook gelding proving it with a 20/1 win at Listowel on the same Bank Holiday Sunday. Ridden by Rory Cleary they just carried the day to win by a short head. I first noticed this horse when he won on the all weather at Dundalk in December having previously run unsuccessfully over fences at the November Cheltenham meeting! A winner over hurdles and fences in the past , O’Brien mostly likely has a plan for the horse and it should be worth following. John Kiely always has a nice team of horses on the go at his Dungarvan, Co Waterford yard and is very good at placing his charges. With 3 placed efforts since the start of the year I would be hopeful that Starry Knight , second at Listowel on his last run behind Willie Mullins odds on chance Killer Crow should raise a winning flag sooner rather than later. The Chevalier 6 year old seemed to find it hard to settle in that race under Declan Queally but if being coaxed to do so on his next run he could be worth supporting. The step up in distance might not have been to his advantage so I wouldn’t be concerned if he dropped back to 2 miles. Philip Rothwell is more than capable of getting a well priced winner and I fancy Decade Player to build on his eyecatching fourth at Punchestown on the 4th of June. The Gamut 6 year old switches between hurdles and fences and positively ridden by Andrew Ring on the day they had to give best after fluffing the last at 33/1. This was a good class race and the form of those in front of him is pretty good. Owned by Co Kilkenny based Paul Holden he has shown more than enough ability to merit a euro or two wherever he is entered to run from Rothwells Co Wicklow yard. These eye catchers have shown enough to suggest that they can win , don’t miss them! All of these horses have the ability , its just up to the trainers to find the winning opportunity! With so much racing to keep abreast of over the past couple of months I thought it might be timely to share a few horses with you who have caught my eye at recent meetings. Stuart and Steven Crawford have been turning a head or two in the racing world this season. They seemingly have a plentiful supply of equine ammunition from their Larne, Co Antrim base and Stuart saddled a nice maiden hurdler at Navan on the 29th when Go The Nac finished third. A drifter in the market on the day the 25/1 shot was just run out of it over the two mile trip. The 5 year old son of Beneficial looks capable of winning for the yard in the colours of the owner/trainer SBR Crawford. Another horse to go into the notebook at the same meeting at Navan was Conor O’Dwyer’s Ebazan who ran prominently in the handicap hurdle under Ben Dalton. The 5 year old American bred son of Lemon Drop Kid was bred by His Highness The Aga Khan and has already been successful both on the flat and over jumps. While not really troubling the judge since June 2013 his run here when beaten a little over 5 lengths looked like he might just be running into form. Co Kildare based O’Dwyer is a dab hand at placing his horses and with Co Wexford based claimer Ben Dalton back in action this horse may just be good enough to win again. Way back in January I backed the Liz Doyle trained Rich Revival in the Thyestes Chase at Gowran. Unluckily my money went well astray that day with the 10 year old Turtle Island horse being pulled up. This was his third pulled up effort in a row, which had preceded three straight wins. Owned by Mary Murphy , Liz Doyle has obviously sweetened him up with a well supported third in a 2 and a half mile handicap hurdle at Navan. Never a winner over the smaller obstacles his forte is as a steeplechaser and I would fancy him to put up a bold show over the larger obstacles when given a chance. On the flat , well known National Hunt trainer Colm Murphy saddled Glam Gerry for Barry Connell at Leopardstown on the 30th with the 10 year old Dr Massini finishing fifth. While never troubling the winner he stayed on well over the 1 mile 6 furlong trip under the talented Danny Mullins to give hope for the future. The 3 times winning horse is by no means a prolific winner but he is versatile enough to be placed well by Murphy and add to his winning record. With Clonmel opening the evening national hunt fixture list on the 3rd of April a couple of horses caught the eye including The Admiral Benbow and Oneforlill. Gordon Doyle has a relatively small team of horses at his Co Wexford base but he must have hopes of taking a track race with the 9 year old The Admiral Benbow soon. 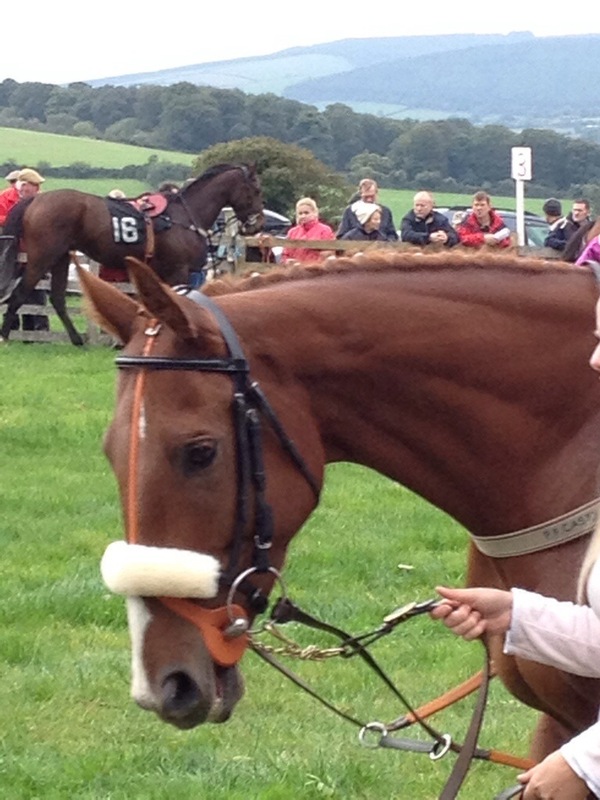 A son of Pierre he has won in the point to point fields and has already been placed in a Hunters Chase. His fourth placing under Adam O’Neill was a firm indication that there is a winning race in the horse, its just a matter of finding it! Our final eyecatcher this week is the Paul Nolan trained mare Oneforlill. This 6 year old Stowaway mare was touched off by Missyspet at Clonmel in the concluding race but looks like a cast iron guarantee to win for her owner Denis Moore. All of these horses have given enough of an indication that they have the ability to win, its just up to the trainers and jockeys to get them the right opportunity! A February Flourish with some terms and conditions. My faith in my own tipping acumen was fully restored following a February flourish, having tipped a winner with my “One for the day” last weekend. With the Crawford brothers winning with Twentytwo’s Taken at Fairyhouse I thought I might share some more eyecatchers to pop into your notebooks. 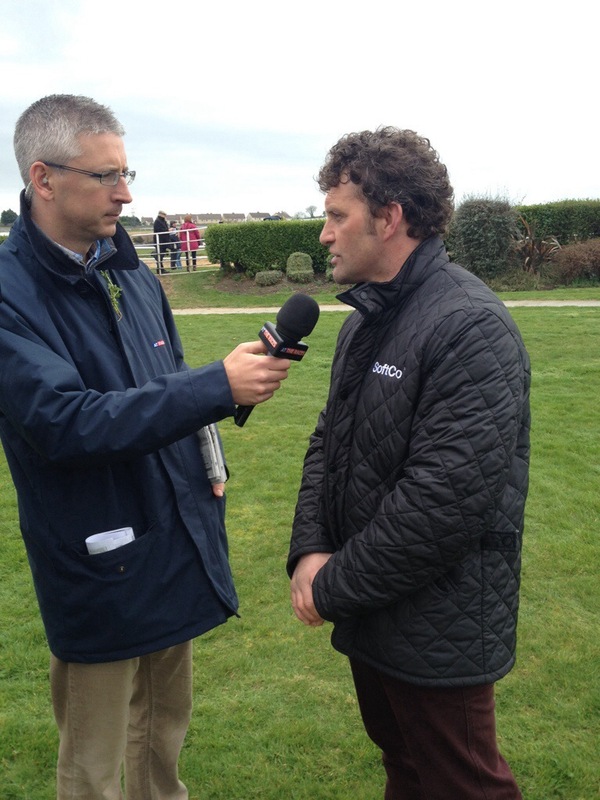 Paul Nolan has his Davidstown yard near Enniscorthy, Co Wexford in good form at present. He pitched in King Vuvuzela into a Grade A handicap chase at Leopardstown on Champion Hurdle weekend with the 7 year old son of Flemensfirth acquitting himself well in fourth place. Nolan is fairly adept at placing his horses and he should find an opportunity to win again with this horse. On the same card Colm Murphy saw his 7 year old Beneficial gelding, Mister Hotelier, run respectably in a handicap hurdle over two and a half miles. While probably no world beater he has his own level and looks more than well able to win when the sun and moon are properly aligned. Murphy looks at the fixture list with a keen eye and should be able to find a race to win with Mister Hotelier sooner rather than later. Co Cork based Robert Tyner has a nice hurdling recruit in the shape of Sir Abbot with the 5 year old Morozov gelding making a pleasing track debut under Tony McCoy. This former point to point winner could well be the new star that his sire Morozov needs, but at the very least he looks a likely maiden hurdle winner whenever Robert Tyner decides to race him again for his new owner JP McManus. Charles O’Brien the Co Kildare based son of the legendary Vincent O’Brien has struck up an interesting racing partnership with Steven Clements. They ran a nice bumper horse at Thurles on the 30th in the shape of Arctic Wolf to run his most promising race to be third. It was noteworthy that the 6 year old son of Medicean was hampered in this race but managed to get back into contention to mark himself down as a future winner. Liz Doyle trains my final eyecatcher. With her horses in good form the 9 year old Sleeping Car gelding Rafi De Triana was a fine third in a handicap hurdle at Thurles. This horse was in winning form this time last year and he looks a likely winner for Doyle and her Crossabeg yard in the near future. As always terms and conditions do apply to these eyecatchers but what else is new in this life!